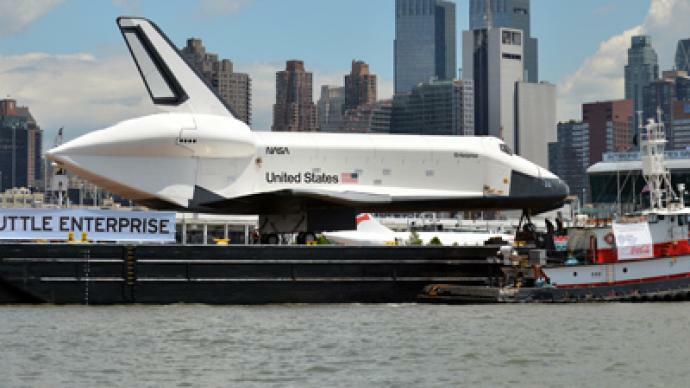 The US space shuttle Enterprise made its way up the Hudson River to its new home in Manhattan. 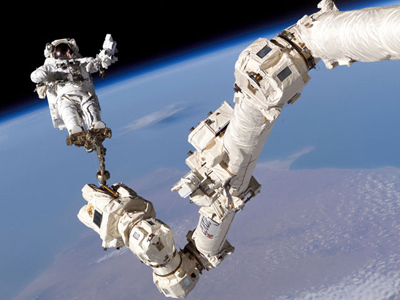 ­The space vessel was strapped to a barge and accompanied by a flotilla of boats as it traveled from Jersey City, NJ to the famous Intrepid Sea, Air and Space Museum. Along the way, it passed the Statue of Liberty and the World Trade Center site, captivating New Yorkers as they watched it float by.